HONG KONG (Reuters) – Exxon Mobil Corp (XOM.N: Quote, Profile, Research, Stock Buzz) has launched an auction to sell up to $2 billion worth of shares in a Hong Kong power venture after a year-long effort to offload its holding to its partner yielded no result, sources familiar with the matter said. The world’s biggest oil company by market value has hired Barclays Plc (BARC.L: Quote, Profile, Research, Stock Buzz) as an advisor for the sale of nearly half of its 60 percent stake in Castle Peak Power Co Ltd as part of its plan to divest non-core assets. Talks to sell the entire stake to CLP Holdings (0002.HK: Quote, Profile, Research, Stock Buzz) and state-owned China Southern Power Grid had stalled due to disagreements over valuations, the sources said. CLP owns 40 percent of Castle Peak. The auction may attract interest from infrastructure funds, Japanese trading houses and sovereign wealth funds, they added without specifying names. The process is in its early stages and potential suitors are assessing whether to bid for the stake. First-round bids are due in early April. China’s cash-rich state power groups have also been scooping up assets worldwide, with dominant power distributor State Grid Corp establishing a presence in the Philippines, Spain, Brazil and Portugal. CLP, controlled by Hong Kong’s wealthy Kadoorie family, remains attracted to the stake because Castle Peak offers guaranteed returns, one source familiar with CLP’s strategy said. But “the ball is in Exxon’s court now,” the source added. Castle Peak operates three coal-fired power stations and has a generation capacity of 6,908 megawatts. CLP and Power Assets Holdings Ltd (0006.HK: Quote, Profile, Research, Stock Buzz), Hong Kong’s other power supplier that is controlled by tycoon Li Ka-Shing, garner an annual return of 9.99 percent on net fixed assets until 2018 under a program known as Scheme of Control. The sources, who declined to be identified as the sale process is confidential, said the 60 percent stake was valued at around $3 billion last March. Around half of that plus a premium would bring the deal value closer to $2 billion, they said. Exxon Mobil said in an emailed statement that it does not comment on rumors or speculation and that it routinely assesses its global portfolio of businesses. A CLP spokeswoman and a Hong Kong-based spokesman for Barclays declined to comment. CLP posted a 10.5 percent drop in its earnings last year because of weak performances at its operations in Australia and India. Hong Kong accounts for the bulk of CLP’s earnings. CLP Power emitted more air pollutants and greenhouse gases last year as a result of more coal burning, but was confident of meeting the more stringent emission targets this year. The city’s largest electricity supplier still complies with the 2009 emission caps set by the Environmental Protection Department, though the emission of three main air pollutants – nitrogen oxides, sulphur dioxide, and particulate matter – grew by 6 per cent, 20 per cent and 30 per cent respectively last year. 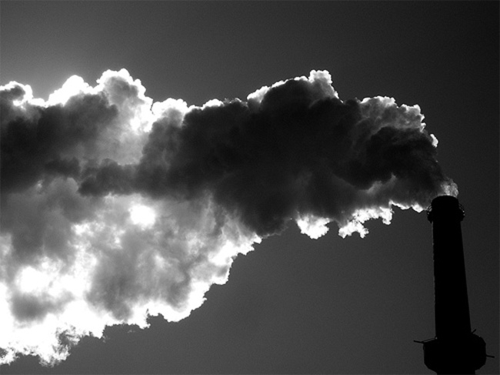 The carbon dioxide released by local power generation also rose by 6 per cent, to 19 million tonnes. China Light and Power omits certain details in the letter from Daisy Chan (‘CLP has made significant cuts in emissions’, October 6). Compare the CLP-ExxonMobil coal power plant at Castle Peak to Hong Kong Electric’s most recent Lamma Island coal plant (built in 1997). You will see that CLP has been given the right by Secretary for Labour and Economic Development Stephen Ip Shu-kwan to generate twice the amount of one pollutant (particulates), three times another (nitrogen oxides) and 10 times a third (sulphur dioxide) as the Hong Kong Electric plant. Moreover, the actual emissions from the Castle Peak plant are kept secret by the government at the request of CLP. At any time since 1997, CLP could have spent a fraction of its profits to clean up this plant, but it has instead waited for seven years – and now it has sent a letter to Mr Ip asking that it be allowed to earn 15 per cent profit on its investment to clean up the sulphur dioxide. This is unconscionable. The Star Ferry only asks seven per cent profit for its shareholders. And the real question is why Mr Ip has allowed CLP to force us to suffer for seven years when the technology has existed for more than 10 years to reduce the sulphur dioxide by more than 90 per cent. The public is not allowed to see or have an opinion on CLP’s letter. We believe that we are entitled to know what profits Mr Ip thinks are acceptable to CLP and that he will be hard-pressed to justify more than a seven per cent return for the shareholders of CLP-ExxonMobil, the single biggest polluter in Hong Kong. Cheung Chi-fai – Updated on Mar 13, 2008 – SCMPCLP Power’s carbon dioxide emissions rose 8.5 per cent last year, hitting a 15-year high as it generated power for the city using more coal and less natural gas. The city’s biggest power supplier also emitted a quarter more nitrogen oxide – a smog-inducing air pollutant – after reductions were achieved in the previous two years. The company blamed depleted gas reserves in Hainan for the greater reliance on coal. CLP Power did not rule out using less gas this year unless its liquefied natural gas terminal project – which the government is still studying for feasibility – was approved soon. Natural gases accounted for just 23 per cent of the company’s fuel mix last year, down from the 31 per cent in 2006. Coal use increased from 40 per cent to 48 per cent, while the share of nuclear power remained at 29 per cent. Greenhouses gas emissions from the Castle Peak and Black Point power stations hit 19.5 million tonnes, the highest since 1993, and 8.5 per cent more than 2006. The increased reliance on coal saw nitrogen oxides in the air surging to 30,500 tonnes, although this was still within emission caps imposed by the Environmental Protection Department, CLP Power said. Sulfur dioxide emissions fell by 3 per cent to 35,100 tonnes last year, but the level of particulates rose by 5 per cent to 1,500 tonnes. Lo Pak-cheong, station manager of the Castle Peak Power Station, said the LNG terminal project was needed if the company was to deliver on its pledge to increase gas use to 50 per cent of the fuel mix. He said they could not import more energy from the nuclear plant in Daya Bay as the supply was capped. A department spokesman said it had urged CLP Power to find alternative gas supplies. Frances Yeung Hoi-shan, a Greenpeace energy campaigner, said the emission caps for power plants were either too lenient or tailor-made for the power operator. Hong Kong’s Environmental Protection Department issued a renewed license for the Black Point Power Station at the end of December 2007. The spokesman also said when there is an increase in electricity generation due to increase in the use of natural gas at the Black Point Power Station, the increase in emissions at the station has to be offset by a corresponding reduction at the Castle Peak Power Station by a ratio ranged between 5.6 to 58 times, depending on the particular different pollutants. Hong Kong’s also tightened the emissions cap for the Castle Peak Power Station ein early 2007, effectively bringing down the emission of air pollutants from the power plants. To improve air quality, Hong Kong reached a consensus with the Guangdong Provincial Government in April 2002, to reduce, on a best endeavor basis, the emission of four major air pollutants — sulphur dioxide, nitrogen oxides, respirable suspended particulates and volatile organic compounds — by 40%, 20%, 55% and 55% respectively in the region by 2010, using 1997 as the base year. To achieve the reduction targets, Hong Kong says it has implemented a series of measures to improve air quality, including the tightening of fuel and vehicle emission standards, requiring the retrofitting of emission control device to trap the particulate emission from diesel vehicles, strengthening vehicle emission inspections and enforcement against smoky vehicles, incentivizing early replacement of old diesel commercial vehicles with vehicles that comply with Euro IV standard, encouraging the use of environment-friendly vehicles through tax concession, limiting the emissions of volatile organic compounds from paints, printing inks and consumer products, requiring the installation of vapour recovery systems in petrol filling station and tightening the emission control on power stations. The CLP group (SEHK: 0002) set a voluntary target to cut its carbon emissions per unit of power output by 75 per cent by 2050, says Andrew Brandler, Chief Executive Officer of CLP on Friday. “The plan is part of our pledge to fight global warming and reduce the effect of climate change. It is going to save millions of tonnes of carbon emissions between now and 2050,” Mr Brandler said. As an interim measure, there will be a 5 per cent cut over the coming three years. “We would achieve our target by increasing non-carbon emitting power generation capacity to 20 per cent of the total by 2020, through greater use of nuclear, hydro-power and renewable energy,” Mr Brandler explained. He also revealed CLP would not build any more conventional coal-fired power stations in Hong Kong and other developed countries, to reduce the worse effect to the environment. At the moment, CLP runs two major power stations in the New Territories – one in Castle Peak and the other one is in Black Point, both are in Tuen Mun. Some Greenpeace activists hang a banner that reads “Climate change starts here” from a silo at CLP Power’s Castle Peak plant in Tuen Mun on Thursday while the UN Climate Change Conference was holding on the Indonesian island of Bali, urging the government to regulate its carbon dioxide emissions. Yesterday, Clear The Air submitted its objection to the Castle Peak Power Environmental Impact Assessment for the building of a facility to store methane gas. Methane is a major greenhouse gas. It is called liquefied natural gas or LNG when chilled. Exxon/Mobil is the majority shareholder of Castle Peak Power. c. Start practicing proper demand management to reduce energy use by 30% using techniques that have been successful in Thailand, South Korea and the US. 1. Extend the existing contract with the Chinese company CNOOC so they can drill new gas wells to provide methane beyond the current contract period. CNOOC has indicated in the press that they are willing to do so. 2. Use ships that warm up the methane on-board instead of on land. 4. Use the Chinese company SINOPEC as a methane supplier as they have shown interest in supplying Hong Kong from an LNG facility they are planning to build on Huangmao Island. (map included in submission). Clear The Air submit that there is no justification for the proposed capacity. Below is a graph of the “fuel mix” as used by CLP in 2004 and a proposed “fuel mix” by Clear The Air for 2013. The need for proposed LNG capacity can be eliminated because the existing gas supply can be extended by the fuel mix below which will also significantly reduce air pollution. CLP Power provided an incorrect carrier route. LNG ships going to and from the Black Point site can use existing shipping lanes and the Tong Gu Channel (under construction) If this Channel is extended into Hong Kong waters, as was originally proposed, the route would not be close to any population centres. Extend the existing contract with the Chinese company CNOOC so they can drill new gas wells to provide methane beyond the current contract period. CNOOC has indicated in the press that they are willing to do so. Pursue the energy demand reduction plan shown above. On-board Re-Gasification of LNG instead of terminals – a more flexible and significantly less destructive technology than building terminals. Use the Chinese company SINOPEC as a methane supplier as they have shown interest in supplying Hong Kong from an LNG facility they are planning to build on Huangmao Island. Clear The Air note that In May 2003, the EPD issued a study brief for the Shenzhen Port Tonggu Channel Developing Office so that they could write an EIA. In March 2005, The Director of the EPD ruled that the EIA submitted for the Tong Gu Channel section in Hong Kong waters did not meet the study brief requirements. In June 2005, just three months later, the study brief for the LNG terminal was released. With the full knowledge, therefore, of the issues regarding dredging near Black Point, we believe that the EPD is aware that extending the dredging of the Tong Gu channel is an alternative and therefore, we are surprised that this EIA has not been rejected by the EPD as also not meeting its study brief requirements. As a signatory to the Kyoto Protocol to the United Nations Framework Convention on Climate Change, China (and therefore Hong Kong) is responsible for measuring the entire global impact of shipping and using methane (LNG) one of the six greenhouse gases addressed by the treaty. Methane that is lost through the original liquefaction process, evaporation during transhipment from the host country and transfer to the LNG facility, and loss during re-gasification should be included in the EIA. Since the origin of the LNG is unknown, a range of figures need to be supplied given the best and worst scenarios available today. Furthermore, since many countries shipping methane are in or near areas of civil unrest, the impact to the environment if the LNG supplies should not arrive because of political reasons – compared to sourcing methane from China, should be included.